Though more and more American colleges and universities are making standardized tests an optional part of their application, Yale is not joining them. Last week, DePaul University in Chicago, Ill. announced that it will no longer require its applicants to submit results from tests such as the SAT or ACT, making it the largest private nonprofit university to set such a policy. DePaul and other institutions change their admissions policies for a variety of reasons, among them the desire to select for “heart” over scores and the need to raise their application counts, but Dean of Undergraduate Admissions Jeffrey Brenzel said Yale is not even considering changing its testing requirements. With its admit rate of 7.9 percent for the class of 2014, Yale is not focused on pulling in more applicants, Brenzel said in a November interview. Although Brenzel said Yale continues to evaluate the role of testing requirements in admissions, he added that the tests are helpful enough to justify their use, and the University has no immediate plans to change its policies. In making the submission of test scores optional, DePaul joins a diverse list of institutions of higher education including Wake Forest University, Bates College, Bowdoin College and New York University. 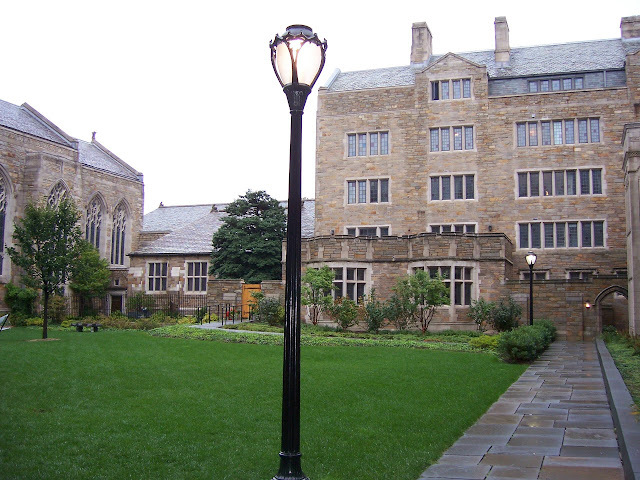 None of the schools generally referred to as Yale’s “peer institutions” — the other Ivy League schools along with Stanford and MIT — have adopted this policy. Beginning with students entering college in fall 2012, DePaul’s applicants who choose not to submit SAT and ACT scores will instead be asked to answer essay questions designed to assess commitment to service, leadership experience and ability to meet long term goals, Boeckenstedt said. Leonard King, director of college counseling at the Maret School in Washington, D.C., said that for Yale, competitive test scores are a bar that applicants must meet. After they do, admissions officers admit them for other, more diverse qualities, he said. He added that there are pros and cons to using test scores as a bases for admission. Since results are biased by race, gender and class and heavily affected by tutoring and expensive test prep programs, they can be unfair measures of aptitude, he said. But the SAT also “levels the playing field” in a situation in which high school standards and grade inflation can cause transcripts to vary widely, he added. Many have questioned the tests’ ability to accurately predict students’ performance in college. In 2008, the Harvard Crimson reported that Harvard Dean of Admissions and Financial Aid William Fitzsimmons said he did not consider the SAT reasoning test to be the best predictor of college success. After leading a commission of admissions official examining the issue under the guidance of the National Association for College Admission Counseling, Fitzsimmons said he thought the SAT subject tests that measure aptitude in a specific curriculum were more useful indicators than the SAT reasoning test or the ACT. Fitzsimmons said in 2008 that Harvard might eventually give students the option of submitting more SAT subject tests instead of the SAT reasoning test, but Yale’s rival has taken no steps in this direction in the past three years. For the Yale class of 2014, the 50th percentile SAT scores were 750, 750 and 760 for the verbal, math and writing sections, respectively.